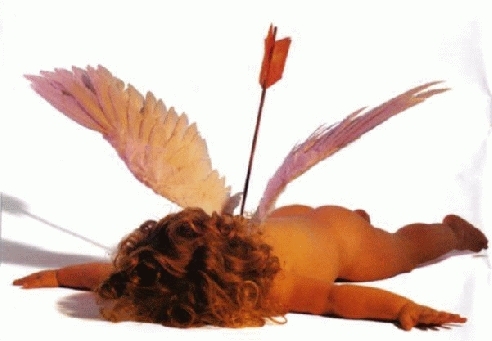 I’ve never been a huge fan of Valentine’s Day if I am truly honest (thus the picture at the top of this blog article). However, in the interest of helping others, I decided I would reflect on positive ways to celebrate this holiday. Here we go! There’s a famous song by Crosby, Stills, and Nash called “Love the One Your with”. I love the song because it has a great groove. The lyrics talk about a man who is separated from his girl (whether by distance or relationship issues, it is unclear) yet is in the presence of another girl. The songwriter encourages the forlorn youngster to engage the girl in his immediate presence and “love the one your with”. It’s a catchy, pop love song that remains a classic to this day. Speaking of this day, as I write this, people all over the world are preparing for love as well because today is Valentine’s Day 2011. Happy Valentine’s Day to you and yours! And may this day be all that you hoped it would be. I would like, however, to take a different spin on Valentine’s Day this year. Normally, the holiday is an opportunity to express our love for someone special in our life. We buy cards, candy, and flowers to win their hearts and express our inner heart to them. This is all well and good and is a good practice I think. However, I’d like to propose, for the purpose of addiction recovery, that recovering addicts/alcoholics use this holiday as a time to love themselves. This love of self, when genuine, humble, and accurate, is very important to sobriety. Allow me to explain. When someone in recovery grasps the concept of love of self, a veil is lifted and their vision is restored. Part of recovery is understanding and believing that you have worth and are lovable just because you exist; just because you are you. When you believe that you are loveable and that you have inherent worth, there is no reason to choose self-destructive activities like drugs and alcohol because you realize just how much worth you really have! This Valentine’s Day (or every day for that matter) try this little exercise and see how you feel about yourself. Stand in front of a mirror first thing upon waking in the morning and last thing before you go to bed at night. While standing in front of the mirror, make and hold eye contact with yourself. While holding eye contact with yourself in the mirror, say out loud, “I love you. I forgive you”. You may not feel that way or even believe it but as the program says, “Fake it ‘til you make it”! Give it a try and don’t rush to judgment if you don’t feel different immediately. Give it some time to soak in deep in your soul. Remember, you’ve probably been giving yourself negative messages for a long time. It may take a little while to learn to sing to a new melody. This is just one way you can ‘love the one your with’ because wherever you go there you are. You are a permanent resident inside your skin so why not get to know the fabulous, awesome person you really are! Happy Valentine’s Day… enjoy being you!